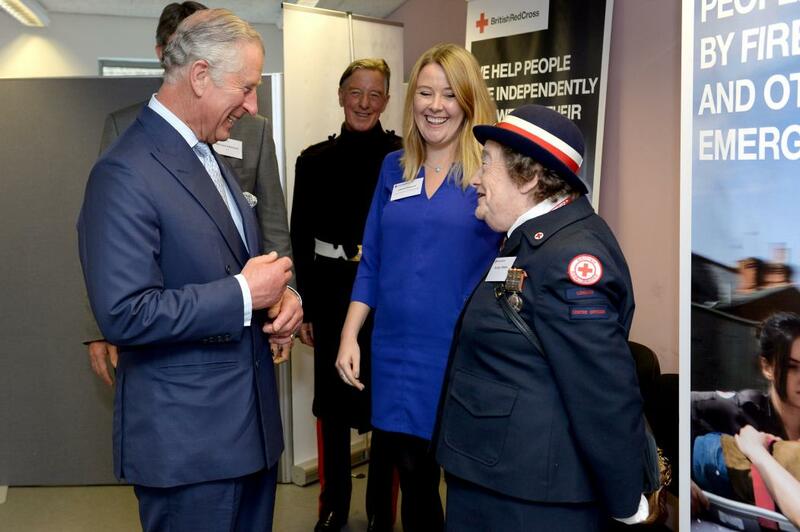 The Prince of Wales visited a British Red Cross centre in London today. The Prince, who has been President of the charity since 2003, met staff and volunteers who told His Royal Highness about the wide range of services they provide. These services include first aid training, emergency response, health and social care, refugee support and international family tracing. The Prince also had the chance to meet, and thank, Audrey Tibble for her lifelong service to the charity. Audrey is 90 years old and first signed up to volunteer for The British Red Cross in 1943 and has been volunteering with them for the last 73 years. The Prince awarded Audrey with a certificate of commendation for her service. The Prince of Wales, President of The British Red Cross, visited one of their centres in #London today. During the visit The Prince met Audrey Tibbles, who first started volunteering for The British Red Cross in 1943. Today, The Prince presented Audrey with a Certificate of Commendation for her incredible lifetime service. Congratulations, Audrey! The charity is also has a long tradition of providing practical and emotional support to refugees and asylum seekers in the UK. Today, The Prince met families who have fled their homes to find security and safety here in the UK. The Prince met Sleman, a 28-year-old Syrian refugee who fled Aleppo in 2012. Sleman is now a refugee service co-ordinator with the British Red Cross, running a project for refugee men in Leeds.